The Sheriffs Office has the responsibility to serve a wide variety of civil actions. These can range from simple complaints to mortgage foreclosure actions, just to name a few. It is the goal of the Sheriffs office to serve the civil process and file the return of service as expeditiously as possible. The fee schedule is a direct costs fee, which means that the costs associated with service of civil process is determined by the number of defendants and the address for service. For this reason, it is encouraged that our office is contacted for costs so that the appropriate fee is remitted. Real Estate Executions require a $2000.00 deposit. Personal Property Executions require a $300.00 deposit with levy. 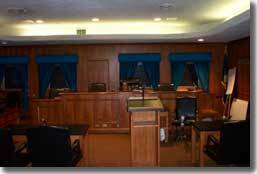 Interrogatories require a $200.00 deposit and a writ of possession costs $100.00.